Nelson Mandela Metropolitan University is home to 27 000 students, about 8 per cent of whom come from 64 countries around the globe. About 12% of these students live on campus, and even more in the surrounding suburbs of Summerstand and Humewood. In fact, about 70% of our student body comes from the Eastern Cape. But regardless of where they come from, all form part of NMMU’s 10-year celebrations. The university’s highest student body, its Student Representative Council (SRC) is keen to lead all students in this celebration – be it via discussion on transformation and student leadership or through the hosting of a 10-year reunion of all SRC student leaders. They also plan to share video footage on student views about NMMU. They released balloons on 10 February from the Kraal on South Campus in a symbolic kick-start to the 10-year celebrations. 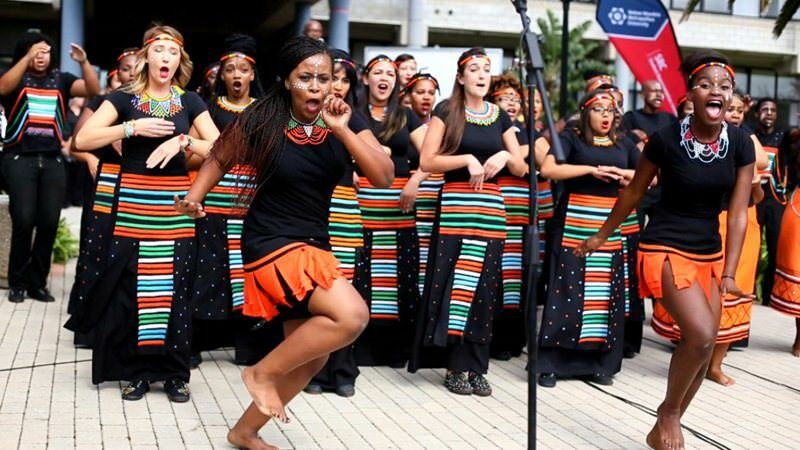 Several talents students will also be participating in the Madibaz Day concert on Monday 11 May, including those from NMMU’s international award-winning choir.